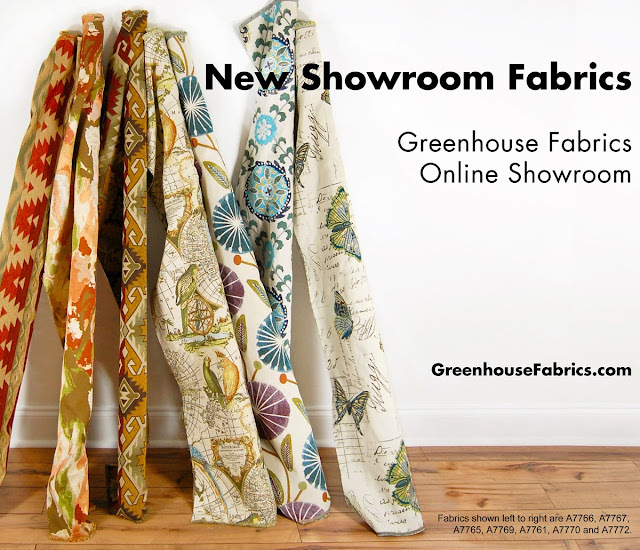 Greenhouse Fabrics: New Showroom Fabrics. Dynamic. Bold. Beautiful. New Showroom Fabrics. Dynamic. Bold. Beautiful. Our online collection of showroom fabrics encompass everything you are looking for in fabric from fashion and beauty to vision and inspiration. Each one of these fabrics makes its own statement through actual script or through professional artistry transformed into stunning designs. Each one communicates differently. Birds decorate a timeless and exotic map design while delicate butterflies flutter across secret letters etched in fabric. Each conceals a story waiting for the breath of life that comes from entering its destination home.